This week I've been holding Tag a Bag classes using the Tag a Bag Accessory Kit. We making 5 cards that fit in the Sketched Dots bag, three gift tags a candy treat and a tag for a bag of candy all from one kit. The stamp set is Endless Birthday Wishes. Thank you Allison Okamitsu and the Stampin' Up! Artisan Design Team for the awesome inspiration. 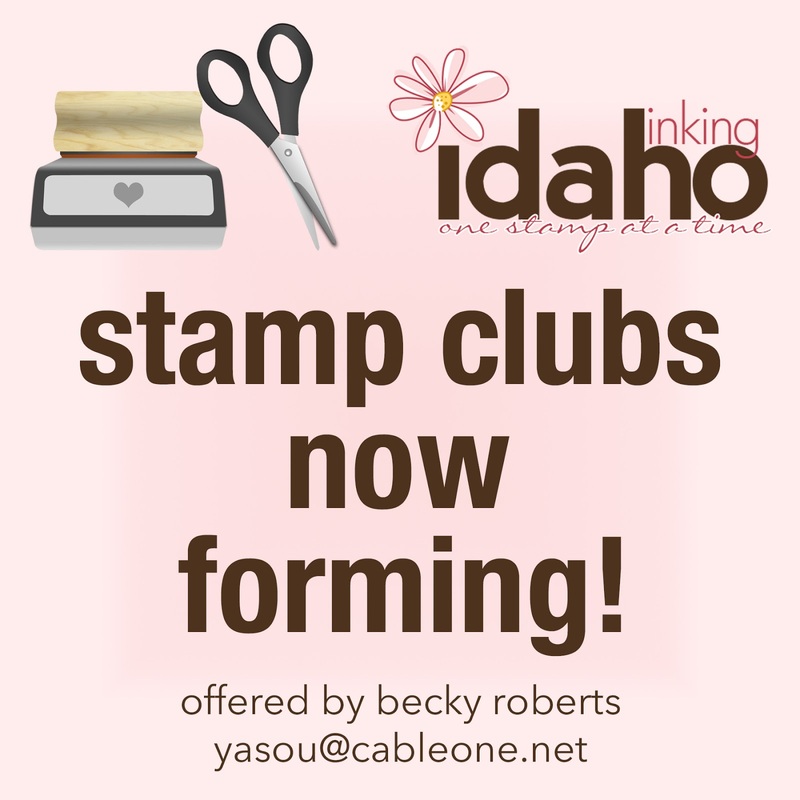 If you are in or around the Boise area and would like to stamp monthly, send me an e-mail. Stamp clubs are forming and my class schedule is updated. 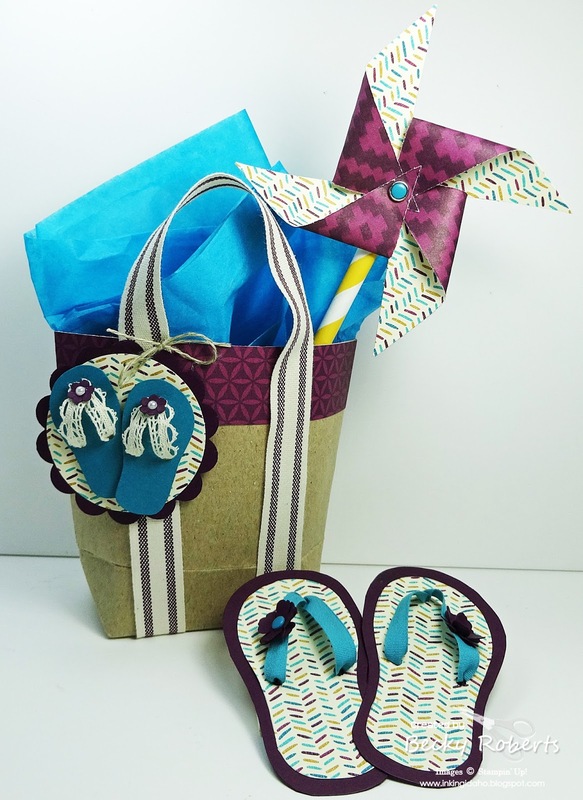 During the month of August, for all orders of $35 or more to my online store you will receive this tutorial on how to create this adorable Flip Floppin' Beach Bag ensemble. Earn Free Stamps with Becky - print your copy. Thanks so much for the shout out Becky! Your projects are adorbs! Hope you've been having success with the class!